New batteries and new motor design provide improved torque and speed performance. Porter-Cable's next generation of Lithium Ion Battery powered drill/drivers and hammerdrill will be available this fall, both featuring more speed and power. 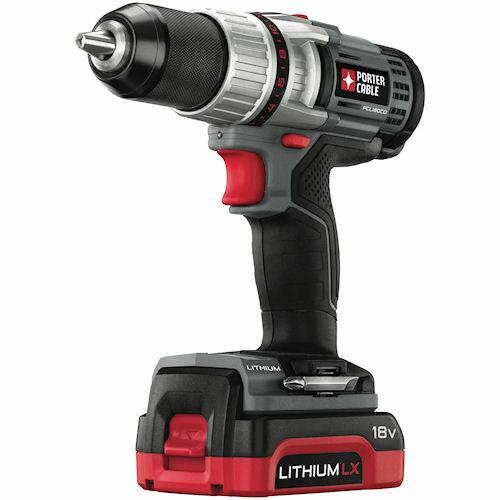 The 18-volt tools have new motors and batteries to improve performance and longevity. The drill/driver features a 22-position clutch, LED light for operation in dimly lighted areas, and an on-board tip storage. The housing is a new glass-filled nylon design, and the new motor drives through a new all-metal chuck. The PCL 180CDK-2 continues Porter-Cable's backward compatibility between LI and NiCd batteries. Porter-Cable's new Lithium Ion Drill/Driver and Hammerdrill feature a new motor that provides 424-inch pounds of maximum torque – a 30% increase over earlier models. The hammerdrill (PC180CHDK-2) is more compact that earlier models and delivers greater beats per minute with the new motor and battery designs. Both models come with three-year limited warranties, a one year service contract and a 90-day money back guarantee. For more information, visit www.portercable.com.